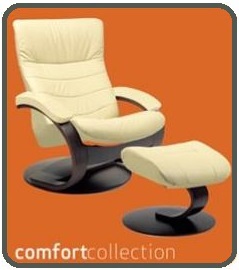 Fjords Recliners are successful because they are an affordable way to bring Norwegian levels of comfort to your home. The Unwind Company strives for 100% Customer Satisfaction every time! We offer free-shipping, the lowest authorized pricing, and true customer service. We at The Unwind Company strongly support Fjords' vision of "Improving Your Living" with every piece of furniture. Need more information before checking out the many products below? We invite you to follow this link to view the Manufacturer's Catalogue: [The Fjords Comfort Collection Catalogue]. Call 1-888-486-9463, click the chat button, or email fjords@unwind.com to connect with a Fjords Specialist.